Many trauma survivors have found an ability to find greater physical and emotional ease, calm and peace through the Feldenkrais Method®. There is also growing research that working with the mind/body connection and somatic movement practices can support recovery from trauma. Join Eveline Wu, longtime Feldenkrais® practitioner and licensed somatic psychotherapist, as she explores how the Feldenkrais Method can fit into the healing journey, looking at new theories of trauma healing that support the Feldenkrais Method, and also learning more about what Feldenkrais can uniquely offer towards feeling more integrated and at ease after overwhelming life events. 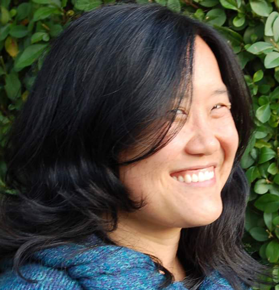 Eveline Wu is a Guild Certified Feldenkrais Practitionercm who has been working with clients with chronic pain and emotional ease for the past 18 years. Since the start of her practice, she has journeyed many paths to understand the theory of and practice of the Feldenkrais Method for people with stress and trauma, having experienced firsthand and seeing in her clients the contribution of Feldenkrais for restoring safety and ease. Along the way, she studied many somatic psychotherapies and is now also a CA Licensed Marriage and Family Therapist who works with clients with early childhood trauma.